Many area residents have decorated for the Halloween season this year. 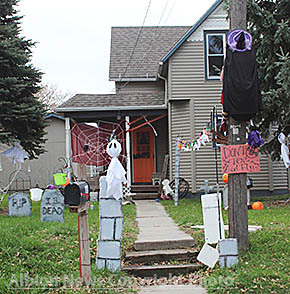 Among the “spookiest” houses is the Drew Schaefer home at 445 Fairview Street in Albion. It’s all decked out with a graveyard and ghosts, just in time to greet trick-or-treaters.